I have been a big fan of the Halo first person shooters for some time now. I thought I would take a swing at making a few customs from the Halo universe. I know quite a few have been produced already but this is my take. I'll be playing these guys exclusively with C3G customs. For now, my Master Chief, his UNSC grenades, with Arbiter, his Plasma grenades, and some Splinter Grenades. Their costs are pure theoryscape currently. 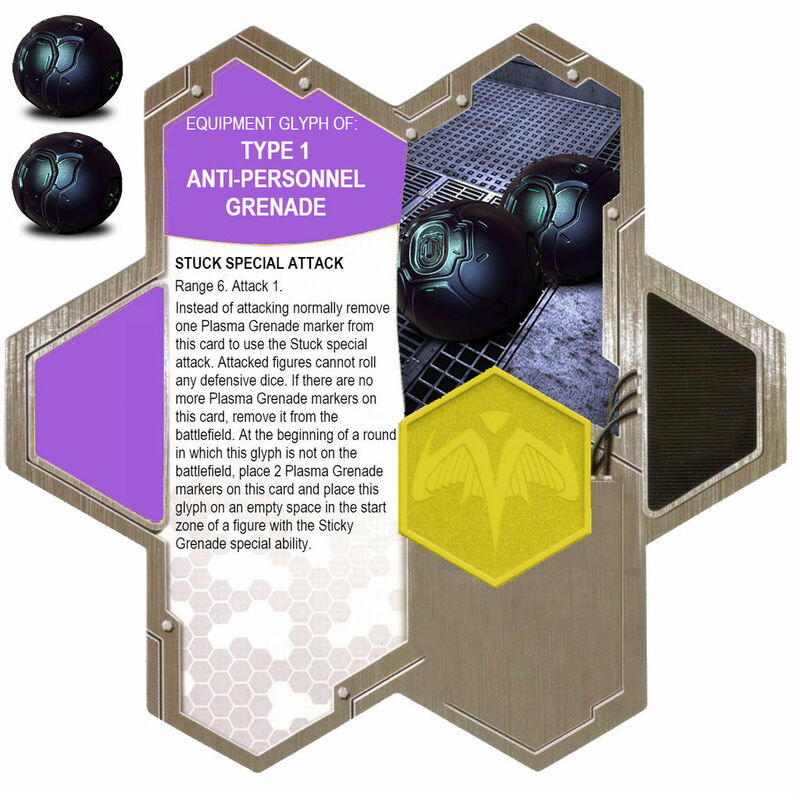 The theme I tried to create with the grenades is how they re-spawn in the games. 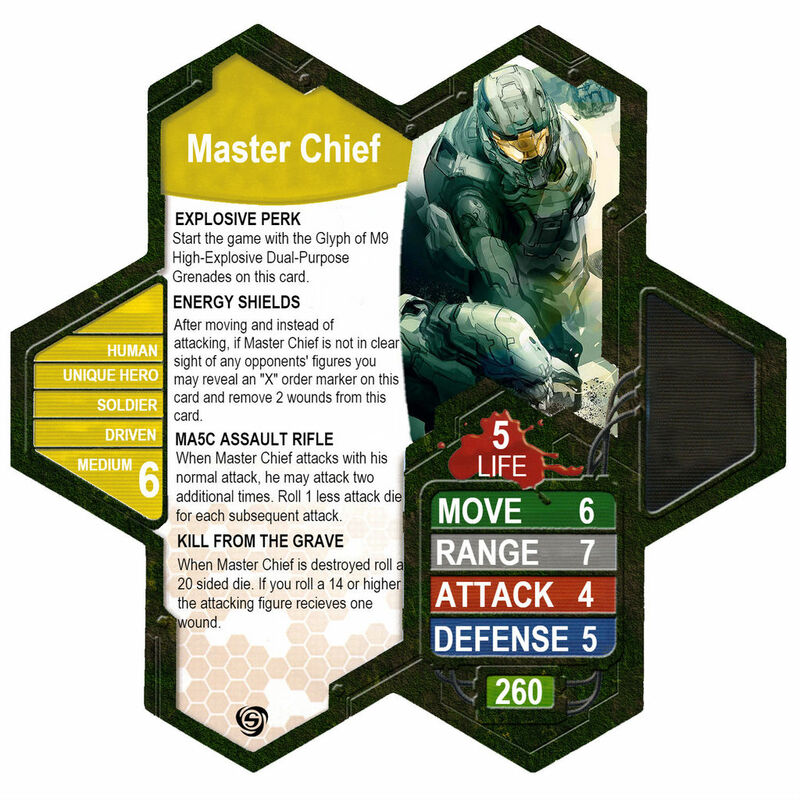 I ran a few heavy hitter tests today with Master Chief, in an attempt to hone in on his cost. He went down to Iron Man (stealth suit) after dealing 2 wounds and healing 2 as well. He took down Judge Dredd while absorbing 1 wound. He got roasted by Silver Samurai while only giving SS 2 wounds and healing 2 himself. The Samurai's SA is ruthless and shredded thru Master Chief, Chief risked leaving strike in order to heal but SS' teleportation kept him on his hip. I'll hopefully run some more tests tonight. I think these might seem weak but when paired with a thrower like Jean Grey, it could be an easy wound or 2. Just have another Mutant toss out the grenade first. 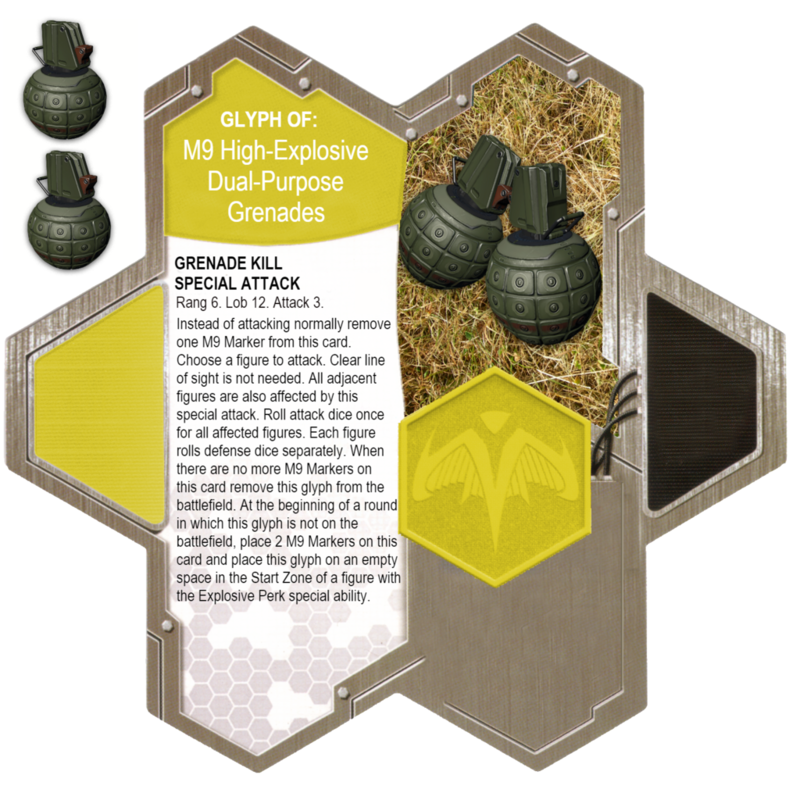 *EDIT* I see now I meant to put "Equipment Glyph of M9 grenades" I'll have to go back and edit that soon. Last edited by L0B5T3R; July 15th, 2017 at 10:23 AM. I would be careful with that Assault Rifle power. Punisher has it in C3G and I have all but banned another figure from having it. The healing factor is even scarier. Soldier has some decent synergy with Bucky bonding being quite nice. My suggestion would be to make Assault Rifle a Special Attack, that locks its power level. I really like the Grenade EQ glyph and its re-spawn mechanic. May have to steal that sometime. There was a Halo project for awhile. Perhaps @Viegon can post what they worked on. I remember they were working on an ammunition mechanic that was cool. I actually wasn't really a part of that project; don't know what they ended up doing. Cool designs! Assault Rifle can be worked with as long as the unit is thoroughly tested with attack boosts (either Captain America, Star-Lord, etc. ); the problem with Punisher is that he came before most of those boosts and wasn't properly balanced with them. Right on V. I was never really part of it either. Did ZJ end up leading the charge there? I just remember that was my first real interaction with you and I kept thinking 'dang, this guy is good'. The healing factor is even scarier. Thanks for the feedback! As soon as I went to bed that night I realized the Energy Shield might be OP. I think maybe having it activated by an "X" order marker could help nerf it. Glad you like the EQ glyph! Feel free to use any form of it you want. P.S. I'm actually a big fan of yours and every other Hero/Sidekick for C3G, so I highly value your opinion. Thanks for all the work you've done. 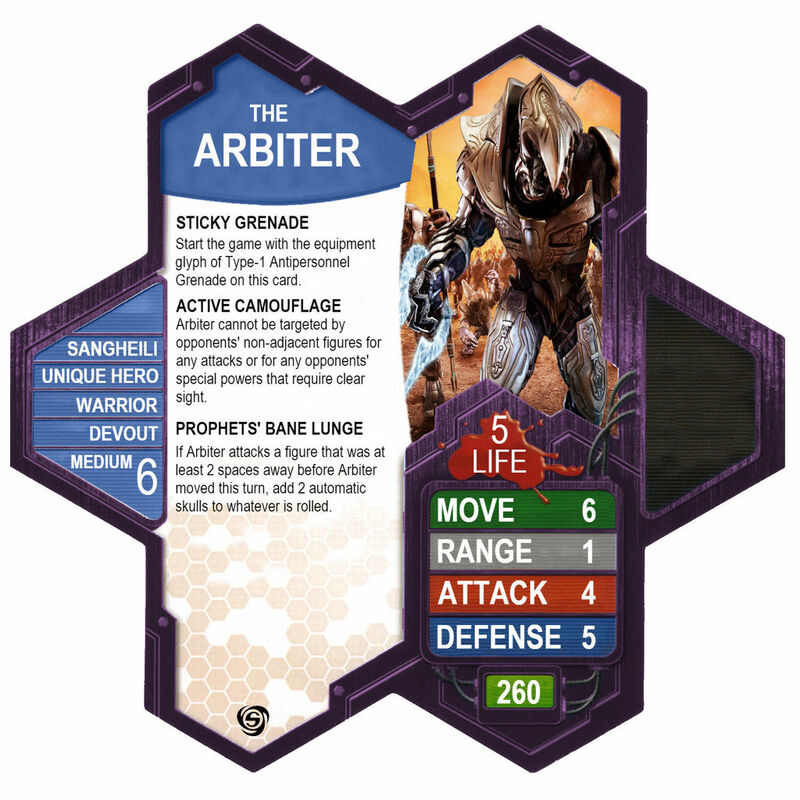 I hope to start playtesting for you guys soon. 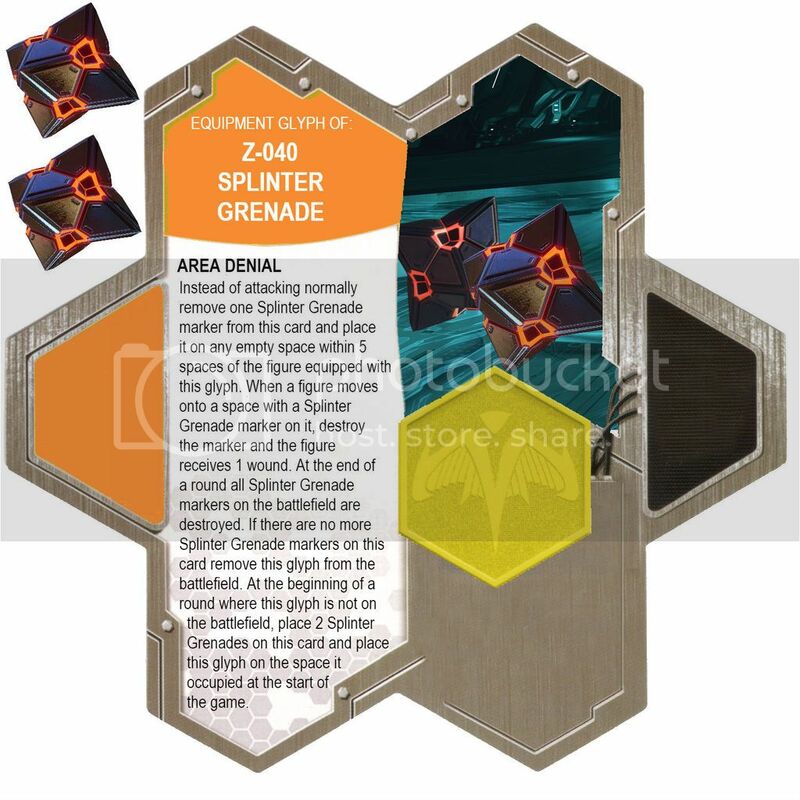 *Updated* with Arbiter and his Plasma grenades, as well as added "X"order marker nerf to Energy Shields. Last edited by L0B5T3R; March 31st, 2017 at 06:20 PM. Oh man, I love the Kill From the Grave, classic Halo . You got some cool stuff here, I love it! Thank you sir! Besides splatters with the ghost, noob grenades from the grave might have produced the majority of my kills. Feel free to join the action over at C3G. We love input from our fans!